Happy Tuesday and lovely weather up here in Madison today. Taking part in the My Favorite Things Color Challenge #75 . I spent waaaay too much time on these cards, but once I started I couldn't stop and figured what the heck. In fitting them into challenge requirements this week, I used four colors: light green, dark green, coral, and blueberry. A real challenge because I normally wouldn't pick these for a card. I painted the colors onto a watercolor panel and then it looked so bad, I die cut them for the fern fronds below. I used the oval and sandwiched between the front panel, some acetate, and another panel to glue it all together and make it look decent on the inside. 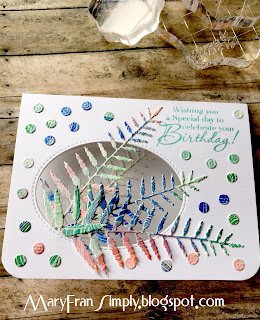 I stamped the birthday greeting from some Tide Pool Hero Arts Shadow ink and then it looked like it was missing something and here's where I couldn't stop myself. I cut a bunch of faux sequins from the leftover paper and decided to make it look like a confetti background...someone make me stopppp... Thank you for reading, and the materials used are listed below. 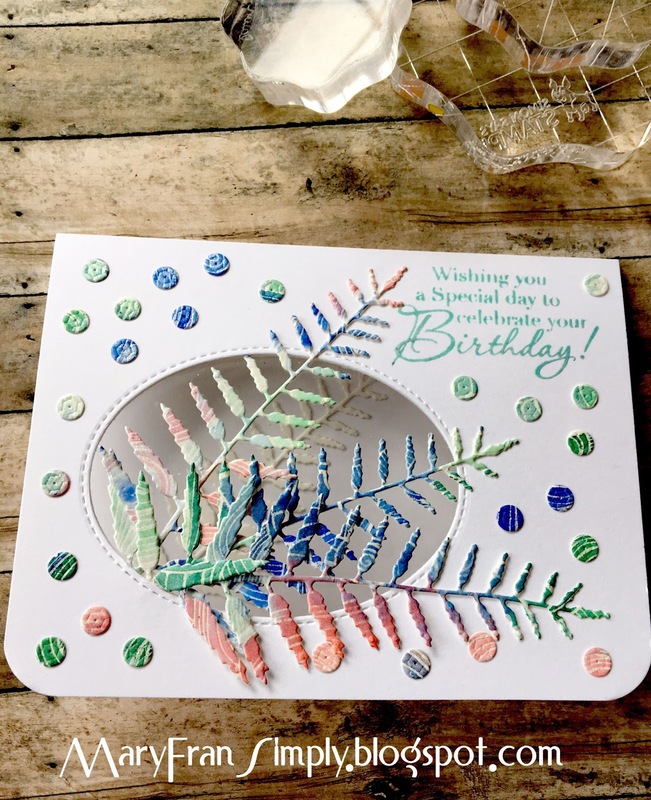 The second card is an extra made with leftover fronds from the initial die cutting. 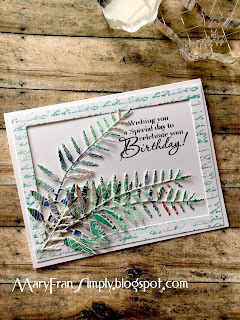 I used a frame die cut that I had stamped with a text stamp and then stamped the same greeting as above. 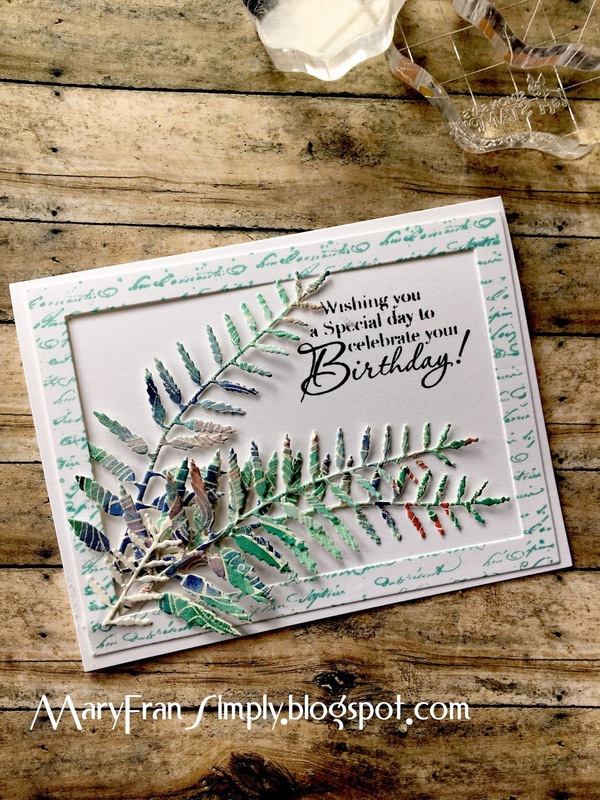 I always have fun making cards though. I find it amazing that I can lose hours doing this stuff and at the end of the day I run around fitting in the house stuff...woe is me. Materials listed below.